Terence Hill was in Rome yesterday to present the Blu-ray and DVD of My Name is Thomas and there he also talked about the future of Don Matteo The shooting of the 12th season will start in April 2019. What will be new this time is that the episodes will be filmed in feature length to give the authors of the series more leeway. In addition, Terence Hill contradicted rumors that the 12th season will be the last. He said he isn't tired of playing Don Matteo and as long as the audience wants to see him, he will play him. From 7 to 11 November 2018 the "Italian Film Festival" took place at the "CineStar - Kino in der Kunstbrauerei" in Berlin. Terence Hill was invited as guest of honor on the evening of November 8th and presented his latest film My name is Thomas. He was accompanied by his son Jess. We were there together with many other fans, enjoyed the atmosphere and the welcome cocktail and recorded our impressions in a small illustrated report. Have fun with it! The Spanish record label Quartet Records released the soundtrack to Mein Name ist Thomas on CD last week. The CD contains 14 tracks written by Pino Donaggio, who was already responsible for the soundtracks of Don Camillo, The Troublemakers, Don Matteo and Un passo dal cielo. Not included on the CD is the title song The World under my Shoes, because it doesn't come from Pino Donaggio. This one was released separately in April. The CD comes with an eight-page booklet. It is limited to 500 copies and can be ordered directly from the label. On 5 October 2018 Guido and Maurizio De Angelis gave a concert in Germany after more than 30 years of abstinence. The venue of this event was the Columbiahalle in Berlin. The two brothers also known under the pseudonym Oliver Onions played all the great hits from the Spencer/Hill movies and many more of their hits. We were at this great event and made a little report about it. Terence Hill has been a guest in Trento in South Tyrol since yesterday. Yesterday he presented his film My Name is Thomas at the Religion Today festival. The film also runs in the competition of the film festival and competes there for two film prizes. The winners will be announced tomorrow at a gala at the Spazio Archeologico Sotterraneo del Sas Museum. 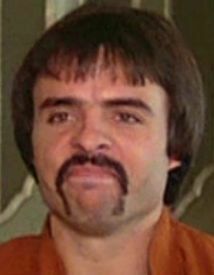 Whatever the jury decides, Terence Hill will definitely receive a prize there, the prize for his career. Congratulations! The opening of an exhibition about Bud Spencer's life planned for 21 September in Naples (we reported) is cancelled. Whether the exhibition can still be seen at all is not clear at the moment. We will report as soon as there are news. What lasts long will finally be good. Originally announced for last autumn, the Lucky Luke boxset will now be released in Germany on October 5, 2018, with the feature film and the eight series episodes appearing in full HD for the first time on three Blu-rays! The shortened scenes have been dubbed for this new boxset with Terence Hill's regular dubbing actor Thomas Danneberg! For the release in October, 3L kindly provides us with five boxes for raffle. You will find out more about the raffle at the beginning of October. Terence Hill was in Dresden yesterday for the German premiere of his new film My name is Thomas. More than 5000 fans gave Terence a warm welcome in two performances at the "Filmnächte am Elbufer" and celebrated him and also his dubbing actor Thomas Danneberg, who was also invited as a guest. We were also on the spot and made a small report about the premiere. Have fun with it! Attention! The exhibition will not take place until further notice! Bud's hometown Naples dedicates a large exhibition to her famous son Bud Spencer. From September, 21 the Palazzo delle Arti (PAN) (Palace of art) will show an exhibition about Buds life. The exhibition refers not only to his film career, but also to his time as a swimmer and his activities as an entrepreneur, pilot, author, composer, singer and inventor. Bud's companions don't miss out either, first and foremost of course Terence Hill, but also the directors Steno, Olmi, Festa Campanile, Montaldo, Colizzi, Clucher, Argento, Castellari, Deodato, Capone and the composers Micalizzi, De Angelis and La Bionda. Bud's own voice guides the visitor through the exhibition and leads him into the world of the actor. In addition to video installations and film clips, props, costumes, Italian and international film and sports awards, newspaper articles from all over the world, film posters, public and private photos and much more can be seen. A reproduction of the statue dedicated to Bud Spencer by the city of Budapest last year can also be admired. The curator of the exhibition is Umberto Croppi, supported by the Cultural and Tourist Centre of Naples, the Luce Cinecittà Film Institute and the Pedersoli family. The Münzhandelsgesellschaft Deutsche Münze (MDM) publishes three Spencer/Hill commemorative coins on the occasion of the 60th anniversary of Hannibal. Two coins show a scene with both actors from Trinity is still my name on the front, the third has a colourful design from Watch out we're mad. The back side of all coins has the same design. It shows a collage of props from various films. The coins can now be pre-ordered from MDM. Delivery of the coins is scheduled for mid-September. Terence Hill will be guest of honour on Saturday 28 July at the 12th Est Film Festival, which will take place from 22 to 29 July in Montefiascone, a small city about 90 kilometres north of Rome. At 9:30 pm at Piazzale Frigo he is awarded the "Arco di Platino" (engl. Platinum Bow) for his extraordinary career. Afterwards Terence Hill will present his new film My name is Thomas. Not only Terence Hill himself will be present at the premiere of his new film Il mio nome è Thomas on 20.08.2018 in Dresden, but also his long-time dubbing voice Thomas Danneberg will be guest. For fans surely one more reason to consider the date in Dresden. Tickets for 13 Euro are still available at the website of the "Filmnächte am Elbufer". URL: To the page of the "Filmnächte am Elbufer"
Terence Hill will personally present his new film Il mio nome e Thomas in Germany. It starts on 20.08.2018 in Dresden at the "Filmnächte am Elbufer" (Movie nights at the river Elbe). Ticket sales for this event will start tomorrow. Until 26.08. Terence will stay in Germany and attend to further appointments. Details will be announced shortly. As became known from the Pedersoli family, stuntman Marcello Verziera died yesterday in Rome. Verziera was a boxer before he started his career. He made his first appearance in the Spencer/Hill universe in 1970 in They call me Trinity, where he played one of the three bandits Bud shot in a duel during his first appearance in the film. Verziera's roles at Bud and Terence's side have always been rather small, but very numerous. He has taken slaps from Bud and Terence in a total of 20 films, the last time in 1988 in the series Big Man. Rest in peace, Marcello! Last Monday the title song of My name is Thomas was released digitally. The song was written by Franco Micalizzi, who also composed the music for They call me Trinity, Go for it and Double Trouble. The title of the play is The World under my shoes. It was released in both an instrumental and a sung version. The song is sung by Albert Douglas Meakin, who has already interpreted the songs Mr. Nothinggoesright, In the middle of all that trouble again and What's goin' on (in Brazil). The distinctive whistling in the song comes from Alessandro Alessandroni, who has already been heard as a whistler in the Trinity title song and in various melodies by Ennio Morricone. For Alessandroni it was his last job at the age of 91. The song is now available on all music portals. 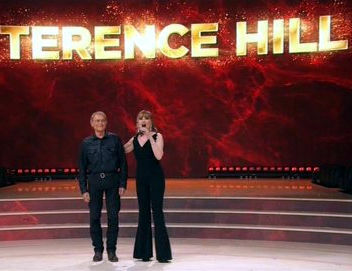 Last Saturday evening Terence Hill was a guest at Ballando con le stelle, the Italian version of "Dancing with the Stars". Also in this show he presented his new movie My Name is Thomas. The highlight of the show was a dance performance on the Trinity theme followed by a saloon fight. Pictures and details of the show can be found at our TV appearances. Exactly 30 years ago today, Terence Hills Roadmovie Renegade was released in German cinemas. We have taken this as an opportunity to add a few facts worth reading to our data set on the film. In addition, we have also produced a location report on the film in the last few days. In this context many thanks to Daniela Meier and Mario and Ilija Staub, who provided us with pictures from their holidays! Last Saturday the world premiere of My Name is Thomas took place at the City Plex Politeama Lucioli in Terni in Umbria. The film was shown simultaneously in four halls at 9 pm in the presence of Terence Hill and many other star guests. Marcus was also there and he was so nice to tell us his impressions and bring pictures. We have now produced a small report on this event. Have fun with it! The Italian label BTF will release the soundtrack of The Five Man Army (Un esercito di 5 uomini) on LP on April 21, 2018. The soundtrack was written by Ennio Morricone. The new edition will contain the same tracklist as the original 1969 LP release, is limited and will be released on blue vinyl. The composers Guido and Maurizio De Angelis, which wrote the music to 22 Bud Spencer and/or Terence Hill movies and many other movies of different genres, will give a concert in Berlin on October 5, 2018. This concert will be the first concert of the two brothers in Germany since over 30 years! To give their music the right atmosphere they are coming with a band and a choir. If you don't want to miss the chance to hear songs like Flying through the air, Dune Buggy, Bulldozer or Fantasy live performed by their original artists, you have to go to the German capital in October. The entrance fee for the concert is 69 Euro. There will only be standing room with free choice of seat. In addition, there is the possibility to purchase so-called VIP tickets. This ticket costs 105 Euro and entitles you to attend an aftershow party after the concert. The number of VIP tickets is limited! The tickets are available now. Terence Hill was on Italian television again yesterday evening. Moderator Fabio Fazio received him on his talk show Che tempo che fa. Terence presented his new film My Name is Thomas (Il mio nome è Thomas) and talked about his career in a relaxed atmosphere. There were also some surprises. You can find the details in our report about the show. Terence Hill was a guest on the Italian talk show Porta a Porta last night. The show was broadcast late last night immediately following yesterday's broadcast of Don Matteo on Rai Uno. Besides Terence Hill many other actors from the series were guests. In a good mood, the protagonists told anecdotes from 18 years of Don Matteo. We have summarized the show in our category of TV appearances for you. 2018-03-29 - 1:41 am - Happy Birthday Terence Hill! In honor of Terence Hill's 79th birthday we have provided a little sketch that Terence played on September 18th 1980 at the German TV-show WWF Club together with Marijke Amado, Jürgen von der Lippe and Frank Laufenberg. He was on the show to promote his movie Super Snooper. We wish Terence Hill a happy birthday! Cristiana and Diamante Pedersoli were guests in the afternoon show "Domenica Live" yesterday. With the help of some video clips and a short film about Bud Spencer's life, they told about life with Bud, his career and the importance of the family in his life. There was also a video message by Giuseppe Pedersoli and a surprise performance by Bud's grandson Carlo, Jr. The Italian label Digitmovies will re-release the soundtrack of A reason to live a reason to die on March 26, 2018. In addition to a CD version, there will also be a deluxe version consisting of the CD plus an LP. The tracklist of the CD corresponds 1:1 to the release from 2009. The LP version will contain exactly the same tracks. It is the first time that this soundtrack is released on vinyl. Terence Hill's new film My name is Thomas will be released in Italian cinemas on April 19. In Italy, too, the film will now be called "Il mio nome è Thomas" (Watch the new trailer). For Germany there is no specific date yet, but the film will also be released in cinemas in Germany this year. There are news about the 2018 Spencer/Hill festival. The event will once again change the venue. The original kart track was unfortunately too small and so the festival will now take place in Lommatzsch in Saxony. The place will surely sound familiar to some fans, because it is the place where Terence Hill spent part of his childhood. Furthermore, it looks as if we can welcome two more star guests this year with Guido and Maurizio De Angelis (also known as Oliver Onions). On March 16, a new Blu-ray box will be released in Germany with ten films by the duo Bud Spencer and Terence Hill. The ten Blu-rays of this box have all been released individually before, but if you're just starting to collect the movies and want to start with the duo's joint movies, this box is a very good way to get started. Eight films in this box contain English audio, while five films also have Italian audio. This might make the box attractive for orders from abroad. First details about this year's Hungarian Spencer/Hill Festival have reached us. The Hungarians will also change the place this year. This year's festival will take place from 12 to 15 July in a "Spa and Leisure Center" in Cegléd. The small town of Cegléd is located about 70 kilometres southwest of Budapest. Unfortunately, the new location is no longer located directly on a large lake, but there is no need to miss a beach, as there is an aquapark in the immediate vicinity. For all interested people, we have created an info page with all known information about the festival. If you have any further questions, please do not hesitate to contact us. We are in contact with the Hungarian organizers. The Italian show "La vita in diretta" reported today about the myth of Bud Spencer. Beside his son Giuseppe Pedersoli, Buds daughter Cristiana and his grandson Carlo, Jr. were invited to talk about it. The topic of her entertaining conversation was the incredible career and varied life of Bud Spencer and how he became an icon all over the world. The statue in Budapest was mentioned as well as the sports ambitions of Carlo, Jr. and the special thing about the duo Spencer/Hill. The conversation was spiced up by TV clips, old interviews and of course film scenes. The Italian label Digitmovies will re-release the soundtrack of Blackie the Pirate on February 22, 2018. In addition to a CD version, there will also be a deluxe version consisting of the CD plus an LP. The LP is based on the original LP from 1971, supplemented by four bonus tracks. The tracklist of the CD corresponds 1:1 to the release from 2006. The shooting for the 11th season of the successful Italian series with Terence Hill as priest Don Matteo is finished and now it is known when they will be broadcast. The first new episode will be broadcast on italian television on Thursday, January 11th on Rai Uno. Guido and Maurizio De Angelis have now released their last year's Bud Spencer Tribute concert from Budapest on CD and DVD. The release consists of two CDs and one DVD. There is also a small book with a text by Maurizio De Angelis and many pictures of the concert. Meanwhile, the new edition of the concert in Berlin announced for February 2nd has apparently been postponed. The new date will be announced. The Spencer and Hill festival will take place in 2018 from August 31 to September 2 at the amusement park / go-kart track in Drebkau-Löschen. Ticket sales began on December 1. We have summarized all important information about the upcoming festival on a small overview page. We are looking forward to welcome you there next year. Do you want to fight as Bud Spencer against a whole bunch of villains? Now, this desire can be satisfied with the official Bud Spencer and Terence Hill video game "Slaps and Beans" which will be available on December, 15th. This game features spencer/hill-style brawls, a nice retro graphic, a co-op multiplayer mode and some mini-games. And you can drive the legendary red beach buggy with its yellow roof. The game will be available as download version for Windows, MacOS and Linux. A conversion for the actual game consoles is planned, but the implementation will take some more time. A free Steam account is required for the download. The download version itself costs 19,90 Euro. Currently there is also a preorder bundle in the shop consisting of a t-shirt and the game for 39,90 Euro. All those who supported the project at Kickstarter during the development with a corresponding package will receive their download code on December 15th free of charge. Last Saturday, a larger-than-life statue of Bud Spencer was unveiled in the Hungarian capital Budapest. The ceremony was attended by the creator Szandra Tasnádi, as well as Bud's daughters Cristiana and Diamante. And we were also there and summarized our impressions in a small special. On November 11th, Bud Spencer will receive a special honour. On this day, a life-size statue of the film hero will be erected in the Corvin Promenade in the 8th district of the Hungarian capital Budapest. The statue created by the artist Tasnádi Szandra will be unveiled at 3 p. m. The ceremony will be attended by the artist Tasnádi Szandra and the district mayor Máté Kocsis as well as Bud Spencer's children Giuseppe, Cristiana and Diamante. In addition, the Spencer Hill Magic Band will also be performing at this event. This year October 31 is a special day. It is not alone Bud Spencers birthday, at this day it is also the 50th anniversary of the premiere of Bud Spencer and Terence Hill's first film together. 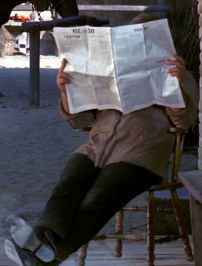 In 1967 on October 31 the western God forgives - I don't started in the Italian cinema and developed to a great success. The duo Spencer/Hill was born. We celebrate this 50th birthday of our heroes together with 3L Homevideo and raffle five copies of the current Monster-Box, which consists of 22 DVDs. We would like to thank 3L for the five boxes and wish all participants good luck! Guido and Maurizio De Angelis were guests at the Italian show Che tempo che fa last night. They were in good spirits when they told us that a recording of last year's concert in Budapest will be released on CD and DVD in Italy on November 2 this year. They also announced that they would play another concert on February 2nd, this time in Berlin. 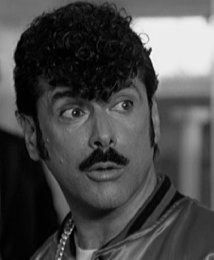 Riccardo Pizzuti, Bud Spencers famous counter-part in many movies, will be the star guest at the Spencer/Hill festival this year. The festival takes places at the the western town El Dorado near Templin from September 15 to September 16. Pizzuti will be there at both days. Tickets for the festival can be ordered online at the ticket shop. The Spencer/Hill database now offers the possibility to watch original movie trailers of certain films. For the start of the new feature, we have uploaded 43 trailers from four different countries of the 17 common films of the duo. Further trailers will be added gradually. You can find the trailers by clicking on the corresponding link here on the homepage on the left side in the section Movies. In addition, you will find links to the trailers directly in the corresponding film view directly under the title-screen of the film. The trailers can then be started directly from there. The trailers are hosted on a specially launched channel on the video platform YouTube. Since 2007 there also is a Bud Spencer and Terence Hill Festival in Hungary. In contrast to the German counterpart, the Hungarian festival takes place under the open sky in the middle of summer. The venue is a campsite right on the banks of Lake Velence. For all interested parties, we have put together all information about the festival on an overview page. If you have any further questions, please feel free to contact us. We are in contact with the Hungarian organizers. We have sad news today. The actor Tomas Milián passed away yesterday in Miami. He was 84 years old. In Miami he also shot Cats and Dogs with Bud Spencer in 1982. Rest in peace, Tony Roma! Attentive visitors to the database have already noticed that we added a new section for lobby cards to the database. We have filled them with content in the last few weeks. A big thanks goes to Martin Richartz from Cologne, who shared more than 1500 lobby cards from his collection, which created the idea for the new section. In the meantime more than 2000 lobby cards have been registered. In the new section they are arranged by films and countries, but also in the individual film views there are now links to the corresponding picture galleries. We wish you a lot of fun! Last Thursday, the "Domitianus Fairplay International Award" was awarded for the first time in Rome at the Domitian Stadium (Stadio di Domoziano). In this context Bud Spencer was also honored for his exemplary honesty and integrity in life. His son Giuseppe Pedersoli gratefully accepted the award. In addition, the city of Amatrice, severely hit during the earthquake disaster of August 2016, was awarded as "Capital of Fair Play" for the merits and cohesion of the population after the earthquake. The post-production of his actual film La chiamavano Maryam is not yet complete, but Terence Hill hat already the next project on his agenda. As the Italian Sorrisi e canzoni TV and other media reports, the shooting of the 11th season of the success series Don Matteo will begin in May this year. The city of Spoleto will be once again the scene of action and shooting. With Simone Montedoro will leave at least one leading actor the series. It seems that his Capitano Tommasi will be replaced by a female version in the new season. We will keep you up to date. From 20 to 22 January 2017, the Motor Bike Expo 2017 will take place in Verona. On the opening day, Terence Hill will be visiting the booth of Wild Hog Handmade Leather with his Harley Davidson from the film They called her Maryam. Terence and Wild Hog already worked together last year for a joint product line. Wild Hog Handmade Leather can be found at the fair in Hall 2 at booth 19N. For enthusiasts and collectors there will be a real highlight in February. On February 24th the German "Filmgalerie 451" publishes the experimental film Org with Terence Hill on DVD. In addition to the 177-minute version of the film (Italian language with German and English subtitles), this first release world-wide also contains a very large amount of bonus material. Last thursday Terence Hill has shown the first trailer of his new movie La chiamavano Maryam in an Italien tv-show. Now the trailer is available online, english subtiltes are included. The movie will start in the Italian cinemas next year on March, 24. Release dates for other countries are not known yet. Have fun! Last thursday the concert of Guido and Maurizio De Angelis took place in Budapest. We were there and we are still happy about this. The concert was fantastic, the atmosphere war great and as they played the last waltz dedicated to Bud Spencer, many of the listeners had tears in his eyes. We have collected some of our impressions in a small special for you. The composers Guido and Maurizio De Angelis, which wrote the music to 22 Bud Spencer and/or Terence Hill movies and many other movies of different genres, will give a concert in Budapest on November 29. This concert will be the first concert of the two brothers since 1984! To give their music the right atmosphere they are coming with an complete orchestra and with some guest stars. If you don't want to miss the chance to hear songs like Flying through the air, Dune Buggy, Bulldozer or Fantasy live performed by their original artists, you have to go to the Hungarian capital in November. The tickets are available now. The 6th Almeria Western Film Festival takes place from October 6 to October 9. One of the special guests will be Terence Hill, who receives the movie award "Tabernas de Cine" for his contribution for the Western film. In 2014 Terence Hill already sent a video message to the festival in which he said that he has very good memories of Almería, because of the shooting from God forgives, I don't, the movie, that starts his career. Now he is back in the desert of Almería for two reasons: The film festival and of course for prepraring the shooting of his new movie project called "They called her Maryam" (La llamaban Maryam), which starts in October in Italy and Almería. Spencer/Hill-Fan Michael Zschage visited Coral Gables and Miami in July this year and takes photos from set locations of the Spencer-movie Speaking of the Devil from 1990. With his picture we have created a new location report that is definitely worth a look. Many thanks to Michael Zschage for sharing his pictures! Spencer/Hill-Fan Mario Staub visited Croatia in July this year and looked für set locations of the Hill-movie Man of the East from 1972. With his picture we have created a new location report that is definitely worth a look. Many thanks to Mario Staub for sharing his pictures! The US-actor David Huddleston is dead. Huddleston only played three times beside Spencer and Hill, but he reached cult status with these roles. For the first time he was seen in Crime Busters in 1977, where he was the fantastic Captain McBride. Not less remarkable was his role as chief of the CIA in Go for it in 1983. Finally in 1991, he played an evil banker in Lucky Luke - Ghost Train at the side of Terence Hill. Outside the Spencer/Hill-universe he reached cult status with his role as "Big Lebowski" in the same film. Now David Huddleston died in Santa Fe. He died already last Tuesday because of a cardio-renal disease. He was 85 years old. Rest in peace! At the moment Terence Hill is in Almería to cast actors and extras for his new movie. The name of the movie will be "They called her Maryam". Terence will be the lead actor, he wrote the script and he will also be the director of the movie. The movie will be shoot in Italy and Spain. The shooting starts in october. 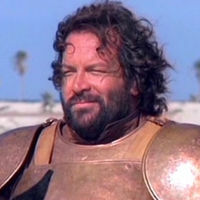 Bud Spencer passed away in Rome. Rest in Peace and thanks for all the wonderful moments that you share with us. You will find information about his long and diversified life in his biography. Today we like to draw your attention to a unknown topic of the Spencer/Hill universe, the commercials with Bud Spencer and Terence Hill. During his long carreer Bud Spencer made commercials for an insurance, a bank, coffee, chewing gum and Christmas cake. Terence Hill only made commercials as young actor, before he started his great carrer. He starred in eight spots for the Italian brewery Peroni. You can now find an overview of all commercials with a lot of pictures in our database. Last monday at the Teatro Ghione in Rome the award "La Pellicola d'Oro" (engl: The Golden Film) was celebrated for the sixth time. This film awards were dedicated to the crew behind the scenes, as producers, cameramen, architects, costume and makeup artist or sound engineers. The crew members themselves give prizes for the best actor and the best actress. A special honor at this year's ceremony was given to Terence Hill who won a lifetime archievement award. In his acceptance speech he said he normally does not go to award ceremonies, but that it was a special honor in this case, because the prize was awarded by the crew members. After he had taken the prize, he had the honor to award a prize for lifetime achievement to the brothers Amedeo and Umberto Leurini whose transportation company has been operating since the 30s in the movie business. In the latest issue of the Italian magazine Sorrisi e canzoni TV there is an interview with Terence Hill. 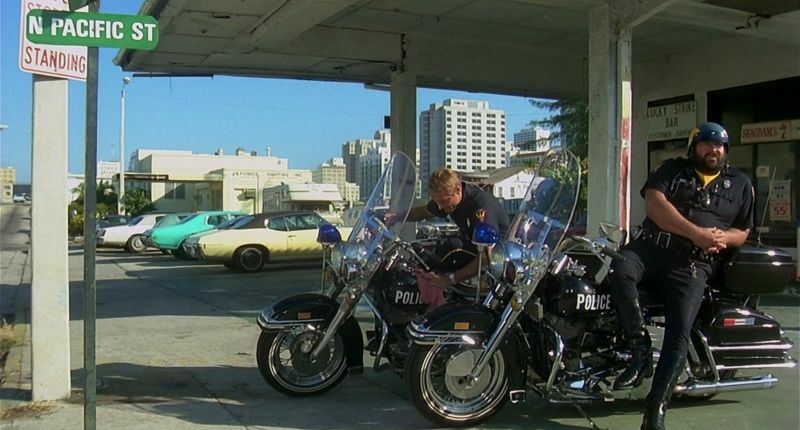 The journalist Tiziana Lupi has called Terence Hill in Los Angeles, where Terence is visiting his son Jess. Terence talks about of his family vacation in Hawaii, before he explains his exit from the series Un passo dal cielo. The reason therefore is that he cannot play two main roles in big series any longer. So he had to leave one of the series. He chose "Un passo dal cielo", because in his opinion the story of the ranger Pietro is told to the end. He is convinced that his successor in the series will be very good and that the series will continue to have success. The exit from one series also means that he will continue with the other series. And so Terence confirms an upcoming eleventh season of Don Matteo. The shooting will start next year. Until then Terence intends to devote himself to things that are lying left in the past years. He does not exclude a short television project in the meantime, but he highlighted the word short. We are excited and will keep you up to date. Terence Hill celebrates his 77th birthday today! Happy Birthday and best wishes! Last Thursday Terence Hill was guest in the Italian talk show Porta a Porta. The only topic of this show was the continued success of Don Matteo. That's why the other guests besides leading actor Terence Hill were Nino Frassica, Simone Montedoro, Sara Zanier, Nadir Caselli, Francesco Scali, Pietro Pulcini and Dalila Pasquariello. The atmosphere was very lively and easy, resulting in a nice show with a good-humored Terence Hill. On January 22 Bud Spencer releases a CD with ten self-composed songs. The songs are written in Neapolitan language. The first song "Futtetenne" was released before in 2001 and two other song were part of the soundtrack from "Father Hope" in the same year. These songs will be released for the first time on CD. The tracks number nine and ten were released over 50 years ago in 1961 as a vinyl-single in Italy by a Carlo Pedersoli. They are included as bonustracks on this album. You can preorder the CD until now at the official online shop of Bud Spencer. The CD is also available as limited edition with autograph. The season 10 of Don Matteo will start on January 7 in the Italien television. From then Terence Hill will start his investigations every thursday in the evening on RAI Uno. Since his youth Bud Spencer is an avid musician. Although he has never learned notes, he composed music, wrote texts and sang songs during his whole life. Most recognizable is, of course, "Grau Grau Grau", the theme song from I'm for the hippopotamus but he has done many other things in this area. Therefore we have listed the Discography of Bud Spencer now in detail. You can find them in the area of background reports here on the home page. The official shop of Bud Spencer is online since yesterday. The shop offers official licensed products like shirts or canvas. 2015-10-31 - 10:32 am - Happy Birthday Bud! Bud Spencer celebrates his 86th birthday today. Happy birthday, Bud! We wish you all the best! Terence Hill takes part in a ceremonial act in Amelia tommorow. He will play the mayor of Roma in the year 1346 and he will bring the key to open the city gate of Amelia. The ceremonial act will beginn at 9:30pm. Until today we only have added Blu-rays and DVDs to the database if they were actually published. About new publications we informed in the news only. We will change this now in order to offer our visitors a comfortable overview about all upcoming Blu-rays, DVDs and books. You can find a link to the upcoming releases directly on the homepage under "Releases" and, of course, in the media section. Photographer Michél Buchmann was in Berlin and made some very nice pictures of Bud Spencer during his visit in June 2015. You will find his photo-documentation on his webpage. Thanks Michél for sharing your pictures! Last weekend Bud Spencer visited Berlin. On Saturday and Sunday he presented his third book Ich esse, also bin ich at the Hotel Ramada and wrote a lot of autographs. Bud Spencer fan Sebastian Meinschien was there, made interesting pictures and wrote a litte report for us. With this material we created a special for our database. The French actor Pierre Brice died last saturday in Paris. He became famous with his role as chief of the Apache "Winnetou", which he played in several movies based on books of Karl May. In four of this movies he played side to side with the young Terence Hill: Winnetou, 2. Teil, Unter Geiern, Der Ölprinz und Old Surehand, 1. Teil. But Terence and Pierre met again. In 1962 both had a small role in Sergio Corbucci's Comedy Il giorno più corto and 1965 they both starred in the spy-movie Schüsse im ¾ Takt. In November 1991 they met again in the German TV-Show Wetten, dass..?. Terence and Pierre at Wetten dass..? Giancarlo Bastianoni is the stuntman with the most appearances in films with Bud Spencer and Terence Hill. He had to take a beating from our dynamic duo in incredible 27 films. However until now it was not much known about Bastianoni than that he is now living in Brazil. But now an Italian film crew has visited him there for an interview where he talked about some interesting details about his life. With this information we created a little biography. Spencer/Hill-Fan Mario Staub visited Croatia in May this year and looked für set locations of the Hill-movie The Wide Blue Road from 1957. With his picture we have created a new location report that is definitely worth a look. The movie itself of course is not so popular as the later movies, but it is very interesting to see the locations 58 years after shooting the movie. Many thanks to Mario Staub for sharing his pictures! Bud Spencer writes his 4th book and it will be released on October, 1st in Germany. It will contain new stories about his filming work, some philosophy and a CD with 15 songs from Bud himself. Last monday the shooting of the 10th season of Don Matteo has startet. Therefore we created a information page where we collect all news about the new season that we find in the Italian press. There is a link to the information page in the news section on the left menu. Last night the German tv-station RTL celebrates the birthday of showmaster Thomas Gottschalk with a big party. One highlight of the show was a short video message from Terence Hill, in which he congratulated Gottschalk to his birthday. He explained that they know each other for a long time and joked about the fact that his hand had been violated because he and Bud were so often involved in fights. Unfortunately with 35 seconds the message was very short. 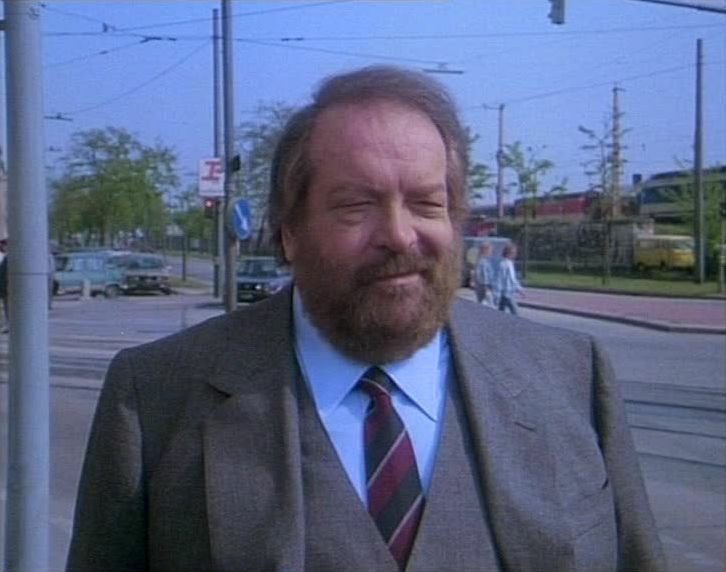 The German TV station RTL Nitro starts with an series of Bud Spencer movies into the summer. The first movie will be Bomber next thursday. After a two week break the series will continue with at least five more movies, every thursday at primetime. The shooting of the 10th season of Don Matteo will start on May, 18 in Rome. From June, 3 to June, 27 Terence Hill and the other actors will shoot in Spoleto again. Further shootings for the serie will be taken in September/October and in January/February next year. Bud will visit Germany again for an autographing session on June 20. He will sign his German books only! The session starts at 6pm at the Hotel Ramada, located at the Alexeanderplatz in Berlin. From today the Spencer/Hill database informs about upcoming tv broadcastings of Spencer/Hill movies directly on the start page. Here you will find information about the next five days or the next four movies. A complete schedule can be found at the menu on the left side (Next on TV). This service only includes TV stations in Germany, Austria, Switzerland and Italy. At Ascension Thursday (May 14) the German TV station "Kabel 1" celebrates Bud Spencer and Terence Hill with an special event. They will show seven movies in line from 6:14am to 8:30pm. Bud Spencer was appointed as honorary citizen of his hometown Naples on March 26. At a formal ceremony the mayor of Naples gave him a medal. Congratulations! The US-actor Gregory Walcott died on March 30. He was 87. Walcott played only one movie with Terence Hill, but his role as Bull Smith in Man of the East will be present in the memory of every Spencer/Hill-Fan. Everyone knows his famous whistle, but Alessandro Alessandroni is more than a whistler. You will find more information about him in his biografie (unfortunately only in German). The Italian actor Antonio Monselesan died in February 25 in Lucca. Monselesan, who was called "Tony Norton" during his carreer as actor, will remain in memory for his role as professional gambler "Wildcat Hendricks" in They still call me Trinity. We are a little bit late, but now you will find all information about the two new episodes of Un passo dal cielo in the database. Because of the music festival of Sanremo, the episodes 10 and 11 of Un passo dal cielo were shown yesterday evening. Nevertheless both episodes had over 7 million specators, althought episode 10 was without Terence Hill. Of course you will find both episodes in the database. The tv-show "Verissimo" on the Italian channel "Canale 5" made an interview with Bud Spencer. It was shown last saturday and Bud talked about his new book Mangio ergo sum, his carrer as swimmer and actor, his life and his family. We added this interview to our section "TV-Shows". Terence has commented his future projects in the "Corriere della sera". Starting in May he will be in front of the camera for the tenth season of Don Matteo. Then he wants to realize a new movie as director. As a tribute to his German mother he plans to create a film against the background of World War II. In occupied and devastated Berlin a girl is waiting for her father to return from the front. Hill promises a movie with a lot of feelings and a happy end. 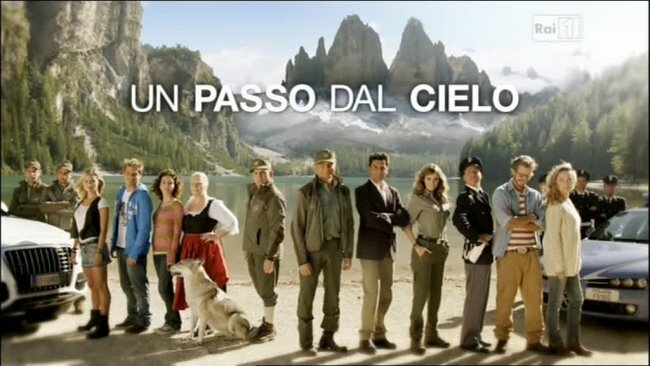 Today at 9:15 am the Italien TV-channel RAI Uno will show the first episode of the third season of Terence Hills tv-show Un passo dal cielo. The name of this episode is "Il figlio delle stelle" which means "The son of the stars". 2014-12-30 - 3:08 pm - Launch of Un passo dal cielo 3 now on January 8. Accoding to several Italian TV-newspapers the launch of the third series of "Un passo dal cielo" is now three weeks earlier. The first episode will be on air on January 8. Good News for Terence Hill Fans. 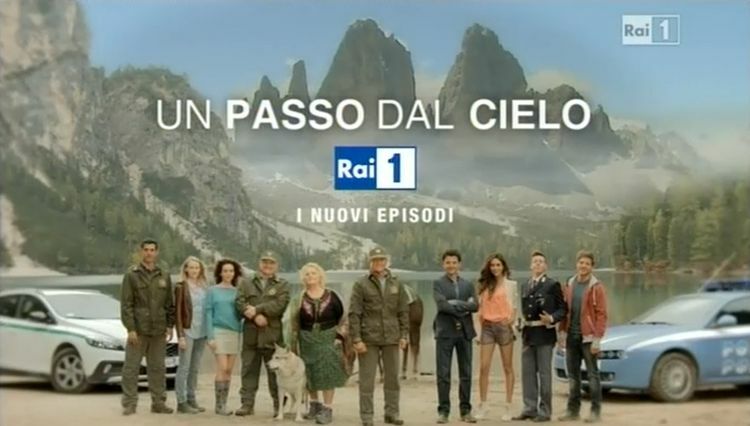 The first episodes of the new season of "Un passo dal cielo" will be aired on RAI Uno on January, 29th. In May of this year in the small Italian town of Lucera, the place where the movie Soldier of Fortune was made, were awarded the best wall paintings under the motto "This is art". The winner is Emanuele La Cava with a great wall painting which shows Bud Spencer as knight Ettore Fieramosca. The winning image is yours if you follow the link to the source. Today we add a new report about set locations in the database. Many thanks to Mario Staub for his pictures from Pomponesco in Italy where Terence Hill shot his first movie as director, The World of Don Camillo. The pictures where taken 2013, exactly 30 years after shooting the movie. As we just learned today the stuntman Jeff Moldovan already died of a heart attack in August 2013. Moldavon was seen seven times on the side of Spencer and Hill. He was also the stunt coordinator in Troublemakers. So we donated him a small biography. 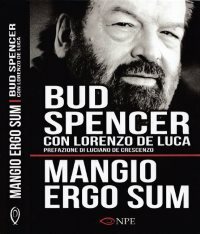 Bud Spencer's third book Mangio ergo sum, which was released in Germany on October 22, will be puplished in Italy on November 27. If you order three copies of the directly about the Italian Facebook page of the publisher, you will get one copy with an autograph of Bud Spencer. But unfortunately foreign purchasers have to pay a massive delivery fee of 35 euros.